Art criticism has always struck me as a strange, exotic - and somewhat frightening - land whose inhabitants have a patois that feels as unreal as it is foreign. That was before I encountered David Salle's criticism. A remarkable painter whose writing is as fresh, vital, and startling as his canvases, Salle, 64, talks about artists and their work in witty, jargon-free, and eminently accessible prose. Due Tuesday, Salle's new book, How to See: Looking, Talking, and Thinking About Art brings together previously published essays about a wide range of contemporary artists, including Alex Katz, Amy Stillman, Sigmar Polke, Jeff Koons, and Dana Schutz. Salle will talk with the Philadelphia Museum of Art's Eileen Owens on Tuesday at the Free Library of Philadelphia. I get the sense that the general public feels intimidated or alienated by contemporary artists. I see quite the reverse. That there's an avidity and an appetite to engage with contemporary art, which wasn't true 30 or 40 years ago. And I'm old enough now to be able to speak in terms of 30 or 40 years ago. But I suppose there is also a great deal of skepticism that I try to address in the introduction, that skepticism is healthy - not toward the art itself but toward the interpretive nexus in which it has been unfolding. You suggest that we start by looking at the work, at the thing itself apart from the social, historical, or aesthetic contexts that give rise to it. Even from the artist's own stated intention. I'm not sure that's so easy to do. I'm always worried I miss something, that I'm not getting it. Well, yes. A sophisticated work of art does about 12 things at the same time and one or three of those things might make an immediate appeal to the senses. That's the level at which you can have an immediate response. But, sure, there are some works that strike me as mute as well. I don't know what to think of it, I don't know what I'm supposed to be thinking, I don't know what sort of reaction I'm meant to have. We've all had that experience. But it doesn't invalidate the work of art, just makes it more recalcitrant. That's when we have to hit the books and learn how Marxists look at art, or Lacanians, post-structuralists. Look, art doesn't have to be daunting. It's helpful to think of works of art in ways similar to how we think about other people in our lives. Some people are harder to get to know. Some are more open and accessible and we feel we know them straight off. Other people, we feel as though their essence is more guarded. It doesn't make them less appealing or less worth knowing. Where do you go from there? Where do I go from the intense love and immersion I feel when I sit across from a Mark Rothko canvas to a place where I can judge it, to know why it's good according to solid aesthetic criteria? My visceral reaction is merely a start, isn't it? If the goal is to have a complex, layered, nuanced understanding of art almost like a field book they have for birding, then that's a tall order. I think it's more reasonable to ask what would be the ideal state of receptivity that allows you to encounter a painting. But you can't stay in that state forever. It gives way to reflection and interpretation - if you have the right tools. Complications come when we believe there's an intention behind the painting that we are meant to internalize. Its message? Its purpose or meaning? Its place in the history of art? Yes, but that becomes a complication if what you are told is that the intention is at odds with your sensory experience. So you could simply not pay attention to what your own senses are telling you and rely on what you've received in terms of prior information. Say, the wall label, which will probably tell you the artist's supposed intent. Or you can let that go and ask yourself, "What is this thing I'm looking at? I'm looking at a rectangle . . . or a jumble on the floor." And that will pretty much tell you all you really need to know. But if it doesn't strike a chord in you, you should just let it go. It's not a failing on your part. Just let it go. Can we really trust our senses in an age so saturated with conflicting and manipulative media images? I would challenge that assumption. . . . I'm someone who doesn't subscribe to this assumption that media images have somehow flooded our receptors like, you know, flooding your dopamine receptors. But let's say it's true. Then it's all the more noteworthy when something does break through . . . and captures our attention, that drowns out all the white noise. I was recently in London for an exhibition of abstract expressionism. London has many, many, many competing exhibits. London . . . well, it's London. It has the allure of a vibrant modern city, but the galleries at the Royal Academy were jam-packed with people and I don't want to romanticize it, but . . . they were rapt in attention. And they were looking at paintings that are at a remove by a great many years . . . from a world that was different. . . . Yet these paintings still speak so clearly and so coherently and so convincingly that [they trumped] all other competing claims on our attention. At least temporarily. The Romantics spoke of art in quasireligious terms. They believed a true aesthetic experience was transformative. Is that idea still relevant? Can we still expect the feeling of transcendence from our art? I think that happens. . . . Yes, I would not rule it out. Art can be a transformative experience, yes. 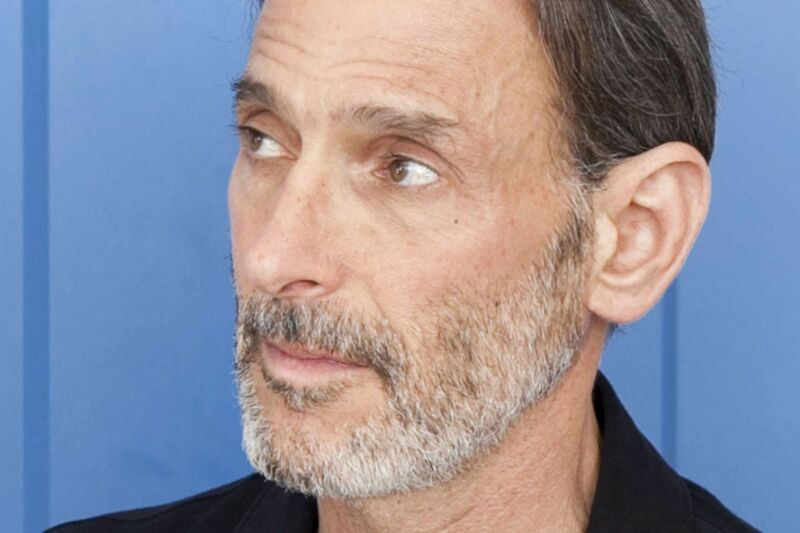 David Salle: "How to See: Looking, Talking, and Thinking About Art"
7:30 p.m. Tuesday at the Free Library, 1901 Vine St.